Author: George, Jean Craighead Set In . . . When Axel and his family take a rafting trip down the swift Salmon River, they sense little risk when smoke appears in the quiet, dry wilderness. Suddenly, orange flames flash dangerously near, and Axel isn't so sure of their safety anymore. Before long, they are caught in a blazing forest and must search for a safe hideout. Will Axel and his family make the right call before the roaring fire gets too close? 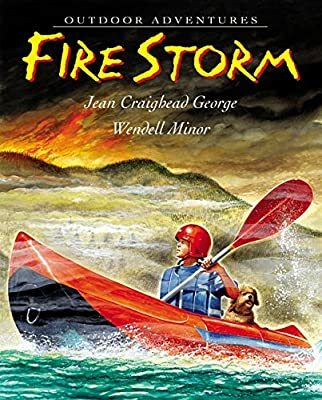 In this second story about the adventures of Axel, acclaimed nature writer Jean Craighead George and award-winning artist Wendell Minor recount the riveting tale of a fearsome fire storm and the cycle of regeneration that follows.